Example of a Legends & Lore marker in New York state. The Vermont Folklife Center has partnered with the The William G. Pomeroy Foundation on their Legends & Lore® Marker Program. Established by the Pomeroy Foundation in 2015, Legends & Lore promotes cultural heritage by placing markers—such as the one featured above—at sites associated with local traditional culture (for example: folklore, customs, legends, beliefs, traditional art, music and dance) in communities across the United States. VFC will serve as a grant evaluator for the Pomeroy Foundation’s expanding national Legends & Lore Marker Grant Program, helping to put the cultural heritage of Vermont in the spotlight. We are thrilled to be part of bringing the Legends & Lore program to Vermont, and we are also excited to partner with legendary Vermont author and folklorist, Joe Citro in the effort! Joe will be working with VFC to evaluate all proposals for Legends & Lore markers in the state. Want to propose a Vermont Legends & Lore marker? Grants are available to 501(c)(3) organizations, nonprofit academic institutions and municipalities in Vermont. Applications are submitted directly to the Pomeroy Foundation here: Legends & Lore® Marker Grant Program. Have any other questions about the Vermont Legends & Lore Marker Program? Contact Andy Kolovos via phone or email and he will do his best to help you out. If he doesn’t know the answers, he will direct you to someone who will. Joseph A. Citro, novelist and storyteller, is well known as a collector of offbeat Vermontiana. For more than thirty years he has chronicled the oddities of local history on public radio, in his popular lectures, and in a series of bestselling books including Green Mountains, Dark Tales, Weird New England, and The Vermont Ghost Experience. 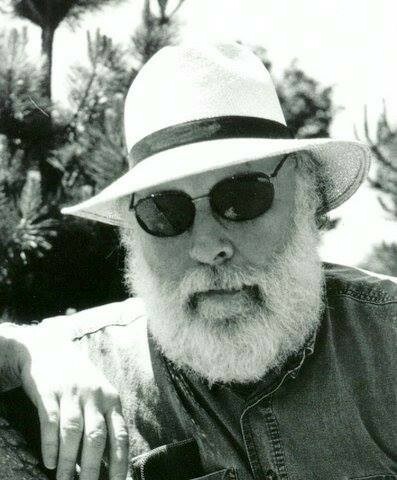 He is also the author of five acclaimed novels rooted in legitimate Vermont history and folklore: Shadow Child, Guardian Angels, The Gore, Lake Monsters, and Deus-X: The Reality Conspiracy. Over the years he has done a lot to keep Vermont's legends and lore alive in the popular culture.